Whenever a new beer joint opens, everyone's quick to gush over one factor: the number of beers on tap. The bigger the number, the more high­-pitched the excitement has gotten, and the average number of taps continues to balloon. Is this upward trend a boon for craft beer drinkers, or do large tap lineups actually start to work against the consumer? Let's face it, beer is a perishable product. Certain beer styles may lend themselves to having longer lifespans than others, but, once any beer leaves the conditioning tank, it begins its inevitable march towards eventual expiration. To put this in perspective, try looking at your neighborhood bar not as having taps that pour beer, but as faucets that are connected to ticking, kegged time-bombs in the back. That's the juggling act bar managers perform, curating the beer selection to ensure kegs empty before their time runs out. Perhaps that was an unfair analogy. After all, your average neighborhood spot will have, what, a dozen taps on? It's easy to have high volume on a low number of taps, and identifying the chronically slow­-moving line is a no-­brainer. When that struggling keg kicks, expect to never see that brand on tap there again. At the top of my first few drafts of this column, I had a certain question typed at the top of the page. Inspired, I decided to send it to friends that are still actively enjoying craft beer careers in the area. "What, in your opinion, is the max number of taps a restaurant can carry before beer quality starts to degrade?" Boy, did they respond, and surprisingly uniformly. These folks carry a wide range of job titles, from brewers to local brand representatives, even a few hailing from the distribution side to give a more rounded perspective. Regardless of background, there does seems to be a sweet spot. Average this non­scientific poll out, and 27 taps is preferable upper limit to industry people in the supply and sales side of things. 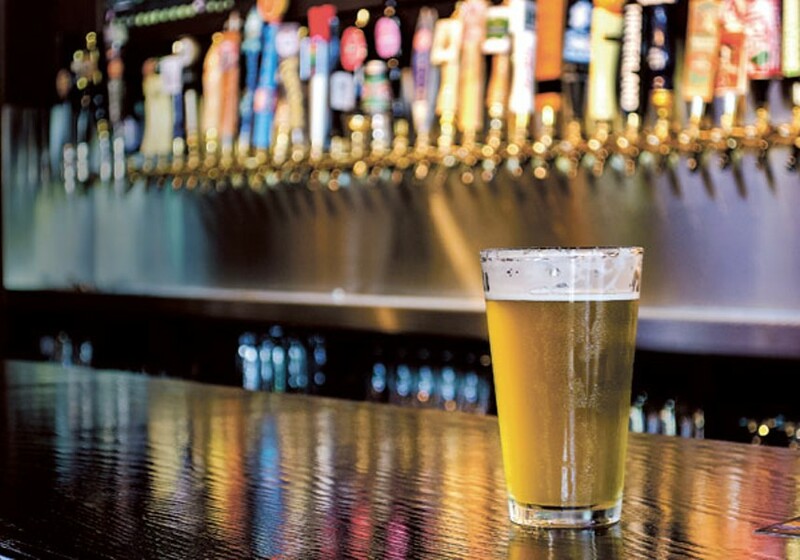 In an era of some establishments carrying taps numbering in the triple­ digits, there seems to be quite a disconnect. Size isn't everything, and several places in Charlotte know this. Growlers Pourhouse keeps certain styles on tap at all times, and rotates brands within each style almost constantly. Salud Beer Shop and Gallery Twenty­Two have a night each week where all beers are on drastic special, which keeps the turnover rate high and all the taps flowing, ensuring the freshest beer possible. Don't worry, that's not to say places rocking taps numbered 28 and up aren't to be trusted. There are plenty of ways to extend that upper limit that I've alluded to already: higher volume, and keg curation. That first concept is simple, so I won't touch on it much. Basically, if you have enough people coming into your establishment that keep all your lines moving, it doesn't matter how many taps you have at the upper limit. At such high ­volume spots, they can almost set their own ceiling. The second part, keg curation, is where things get a bit trickier. It's not as easy as just culling the slow­movers and replacing them with something different once those kegs kick. There's also the matter of hitting the gas pedal on said slow movers. See: the old "putting certain beers on special" trick. The biggest part of curating a tap line­up is to be mindful of past results. I'll offer a quick cautionary tale. Years ago, I talked with a bar manager and offered congratulations on their one­-year anniversary. When asked about any lessons learned, the simple answer surprised me. "Yeah, don't order any more (Beer X)." I pushed further, and learned this one keg had been on tap for the entire year previous. The line hadn't been cleaned in that time period either. We threw a small celebration five weeks later when that keg finally kicked. For over 13 months, that beer simply languished. Amazingly, that same beer reappeared a mere two months later, and I stopped visiting that bar entirely. The odds of stepping on another hidden land mine at that establishment simply became too high for my tastes. As the craft beer movement continues to grow, inevitably so will the average number of taps as local establishments attempt to keep pace with their options. As that tap count climbs, so will the breathless excitement, and number of beverage choices available to the consumer. On the flip side, the likelihood that patrons will be served less-­than-­fresh beer keeps pace. High volume and skilled ordering can delay this tipping point, but caveat emptor.